13+ Scion FRS Brake Pads. Performance Front & Rear Brake Pads for Scion FRS. Choose from EBC, Stoptech, Hawk & More. 13 14 15 Scion FRS Performance Brake Pads will add more bite for quicker stops for both street and track use. 12+ Scion iQ Brake Pads. Performance Brake Pads for Scion iQ. Choose from iQ Brake Pads by EBC, Hawk, Stoptech & More. Performance Brake Pads are available in numerous brake compounds for optimum bite and braking performance. 08+ Scion xD Brake Parts. Performance Brake Upgrades for Scion xD. Choose from xD Drilled and/or Slotted Brake Rotors, Stainless Brake Lines and Performance Brake Pads from EBC, Stoptech, Wilwood, Hawk & More. Scion xD Brakes. Description: Hawk Ceramic Front Brake Pads for the 05-10 Scion tC HB328Z.685. 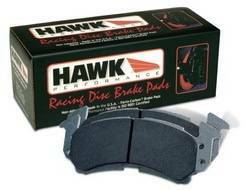 Hawk Ceramic Brake Pads are Ultimate stopping power in an ultra-low dust, low noise ceramic compound! Hawk Performance offers a premium, high performance, ultra-low dust. Description: Hawk Ceramic Front Brake Pads for the 08-14 Scion xD HB627Z.690. 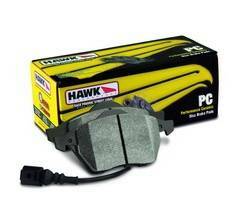 Hawk Ceramic Brake Pads are Ultimate stopping power in an ultra-low dust, low noise ceramic compound! Hawk Performance offers a premium, high performance, ultra-low dust. Description: Hawk HP Plus Front Brake Pads for the 05-10 Scion tC HB328N.685. Scion tC Hawk HP Plus Front Brake Pads are ideal for Autocross and Track Day drivers looking for a high performance race compound that can take the heat! Description: Hawk HPS Front Brake Pads for 12-16 Scion iQ HB493F.650. Scion iQ Hawk Front Brake Pads are now available. Hawk HPS Brake Pad sare world renowned for increasing stopping power on both OE and Performance Brake Rotors for your Scion iQ.